If you’re on the move, start your house search on our property pages where you’ll find all the homes for sale or to rent through PrimeLocation and four local agents you’ll know well (read more). 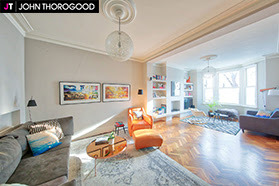 For sale with John Thorogood is a 4-bedroom family house off Northcote Road and within the current Honeywell catchment area, uniquely designed and fully extended with a double-height rear bedroom, roof terrace and utility room (read more). 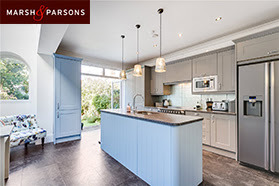 For sale with Marsh & Parsons is a 4-bedroom house just a short walk from Tooting Bec Common and good connections into the City, in excellent condition with a lovely eat-in kitchen opening onto a sunny garden plus an en-suite shower room to the master bedroom (read more). 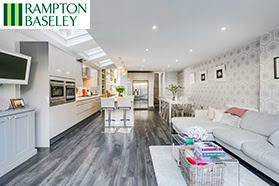 For sale with Rampton Baseley is a 6-bedroom terraced family house just off Wandsworth Common West Side, immaculately presented throughout having been completely refurbished with over 2350 sq ft of living space designed with modern family life in mind (read more). 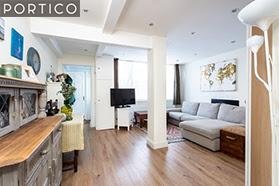 For sale with Portico is a 1-bedroom flat in the sought-after location of The Chase in the heart of Clapham, in excellent condition with a modern bathroom and smart kitchen, open-plan living and a private enclosed patio garden (read more). Kings Tutors is holding an 11+ Coffee Morning over in Chelsea soon with the Head of Cameron House School there to answer any questions you may have about the whole process (read more). Also in Chelsea is The Parent Practice’s Raising Girls, a workshop examining the practical strategies parents can use to help their daughters choose good friends and be good friends themselves (read more). Bach to Baby will be in Southfields next week with The Singing Cellist (that sounds like multi-tasking..) and coffee on hand so you can sit back, relax and let the music wash over you (read more). Tempted by yoga this new year? Head to Fresh Ground for Beginners’ Hatha Yoga – six weekly sessions to get you started as you mean to go on (read more). Celebrate The Year of the Pig with fun games, lantern riddles and performances with the Wen Lin Chinese School at Bolingbroke Academy (read more). The brilliant people at Camp Suisse are now running a skiing week for those aged 7 to 17 with some availability this half term. So if you can’t go this year, maybe the children still can…(read more). Or kick off the week locally with the Funky Feet Disco at Eddie Catz to get them moving and grooving (read more). Trinity School Half Term Sports Camps are running over three days with the choice of hockey, basketball or cricket (read more). Kimberley Swim Clinics Half Term courses offer intensive swimming lessons in small groups so they’ll be cutting their way through the water with speed and skill before the week is out (read more). Dulwich Lawn Tennis Club’s Half Term Holiday Tennis Camp is for all abilities between the ages of 3 and 15 (read more). Sparks is running The Scene of the Crime Movie-Making Camp at Broomwood Hall. Three days of acting, directing, filming and all the tech side too (read more). Head to Orleans House Gallery for Flowing Through Time, led by an artist and examining life on the Thames past and present in a printmaking and collage workshop (read more). Another Half Term Workshop: Make your Loveable Teddy is at Eddie Catz Earlsfield, a drop-off session for 4 to 8-year-olds to create their own new cuddly bear (read more). February Half Term Ballet Fun – LCB Juniors is for budding dancers aged between 5 and 11 to work on their skills and confidence in ballet and jazz (read more). Role Models’ Resilience Course – Celebrating China is running in conjunction with Dragon Teaching, looking at developing resilience as well as Chinese culture and language (read more). Miniversity Half Term Camps are IT-based sessions where they can try their hand at being all sorts from entrepreneurs to architects, doctors and news reporters (read more). And Open Air Fit is running two Half Term camps on Wandsworth Common. One multi-sport for children aged 4+, the other is for any lovers of the beautiful game – football for 8+ (read more). Or how about a spoonful of sugar sprinkled over half term at a Mary Poppins-themed Dance & Creative Workshop with Dance Grooves. Practically perfect in every way (read more). Don’t miss the latest batch of fabulous NappyValleyNet offers and competitions! Win five-hours use of the private room at The Exhibit (plus the bubbly to get you started), the unique opportunity to paint a Wandsworth wall with your own art, a place on a 10-week Positive Parenting course worth £500 or a place on an Easter holiday camp with Stars Performing Arts Club worth £150. Plus a tempting array of offers and discounts we’ve put together with you in mind (read more).